I was recently commissioned to paint 2 horses for an equestrian gift. The 2 pictures which I was sent did not have the ponies together clearly so I was asked to merge the two to make the composition nicer. I was also asked to paint the large cob without his rug. 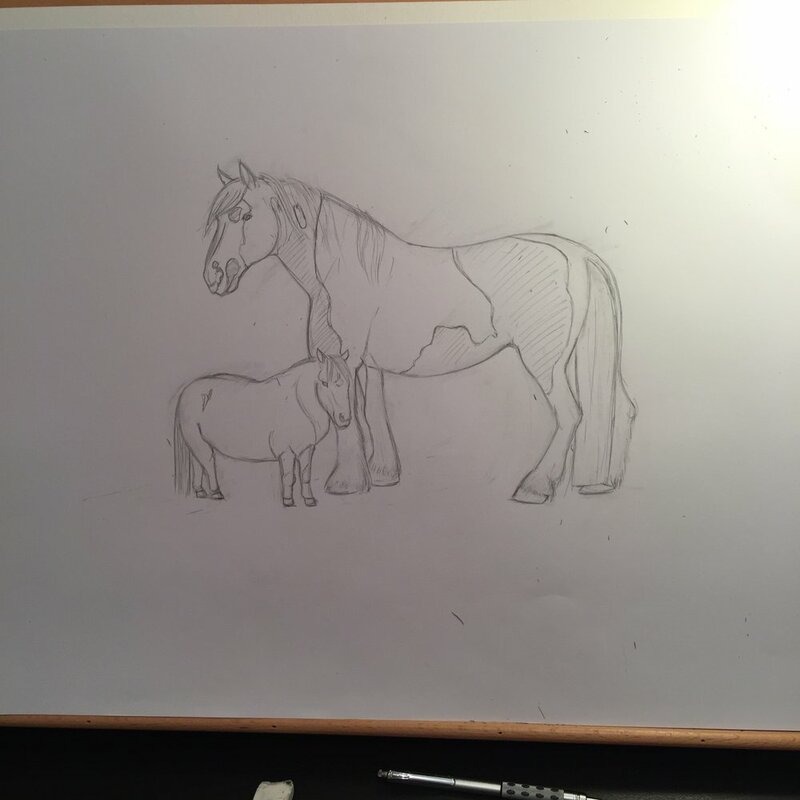 I loosely sketched out the horses together and drew in the markings from under the rug using another picture for reference. I then using a lightbox painted over the pencil sketch onto the thick watercolour card. I slowly built up the colour of the ponies using the photographs as reference to get the lovely watercolour result.